1 Unopened box of either 2010 Razor or 2011-2016 Leaf U.S. Army All American Football. 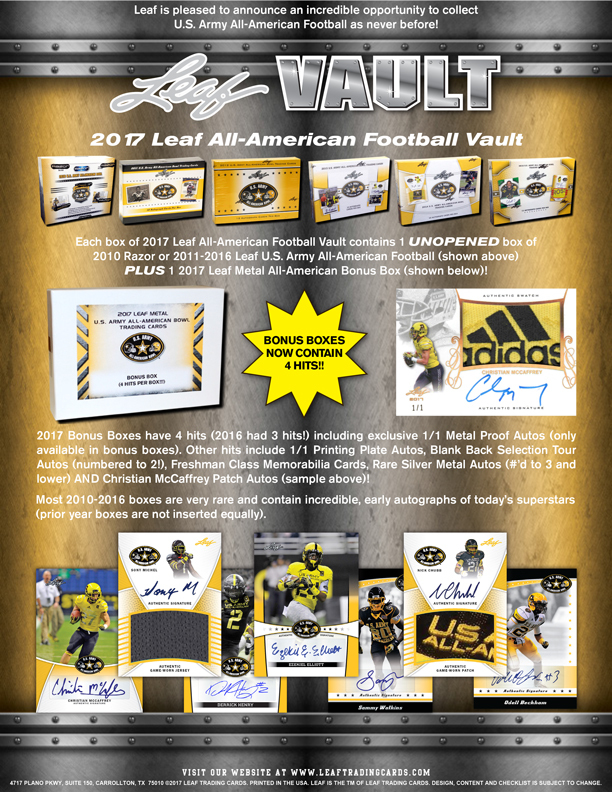 1 2017 Leaf Metal All-American Bonus Box with 4 hits. 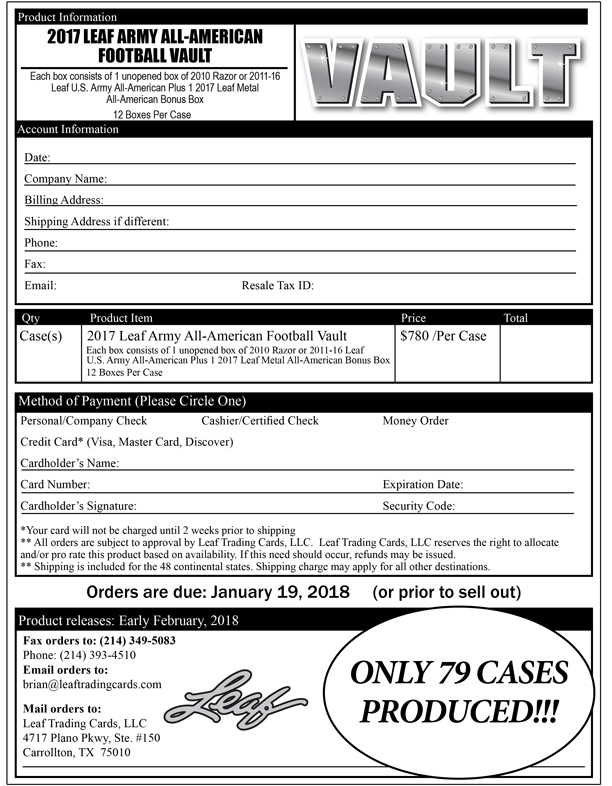 Each box of 2017 Leaf All-American Football Vault delivers either 1 Unopened box of 2010 Razor or 2011-2016 Leaf U.S. Army All American Football. PLUS 1 2017 Leaf Metal All-American Bonus Box with 4 Hits including exclusives 1/1 Metal Proof Autos (only in bonus boxes). Other Hits include 1/1 Printing Plate Autographs, Blank Back Selection Tour Autos (#’d to 2) , Freshman Class Memorabilia Cards, Rare Silver Metal Autos (#’d to 3 or less) and Christian McCaffrey Patch Autos. Nearly all 2010-2016 boxes are as scarce as hen’s teeth and carry amazing early autographs of today’s superstars.